It’s the humbling lessons you remember best. One year when I lived in Washington DC I was traveling to visit my folks in Burlington, Vermont for the Thanksgiving holiday, one of the busiest travel days of the year. The trip required me to change planes in New Jersey. The plane from DC to New York was late due to some wintery weather. When we landed in New York five of us ran about 400 meters to the Burlington departure gate. Knees clanging against suitcases, we screeched to a halt at the Burlington gate. The gate agent looked at us wearily. I stepped to the front. “When is the next flight?” I asked. The gate agent’s mouth tightened into a hard line. At that moment another passenger stepped up. Handle it she did. Jodi began with a slow, friendly smile. “I bet you have. Looks like you have your hands full tonight.” Jodi waved her arm at the mass of bustling passengers swarming the terminal. The gate agent smiled. “Yeah, I sure do,” she replied. I gaped as Jodi continued working her magic. “Why thank you,” the gate agent replied, clearly touched. “I’ll see what I can do,” she said, and started tapping keys on the computer. Twenty minutes later we were all booked on the morning flight and on a shuttle bus to a complimentary hotel near the airport. I swallowed my embarrassment and I asked Jodi how she did it. “And that’s all there is?” I asked. Yes, it was. The humbling lessons always are. Keep sharing Chris, thank you a lot. Thanks for the positive feedback Viet! I love to hear back from my readers. Love love love. Also applies the other way. 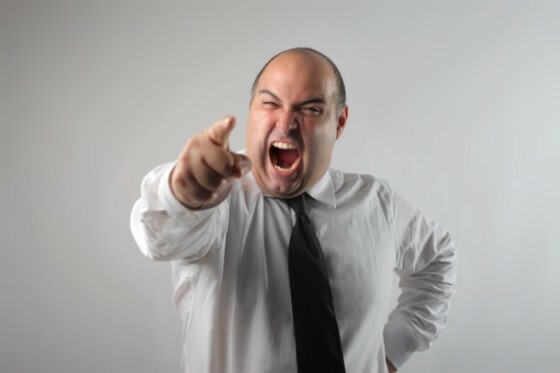 When I have an angry customer because of something I messed up (delayed shipment, bad experience), I sympathize with them… “wow, that is so frustrating, I am so sorry you had such a bad experience with my company.” Then I tell them what I can do to make it better.. a free bottle, refund, etc. I give them back the power to make a decision as to what will make their experience a better one. One of the most valuable lessons I learned from the customer service manager at Sundance. Give your customers a choice in how they would like compensation and it will restore the relationship. The desk agent in this instance should have said immediately “I am so sorry the weather caused you to miss this flight. Here is what I can do…etc” instead of letting you get worked up. Anyway, great post as usual. Hey Jess – Great point! When people are upset they feel like they’ve lost control. Giving upset customers a choice is a very clever way to calm the situation and put them back in the driver’s seat. I’m stealing this one. You remind me the saying which my friend (D.K) had presented “do the pulling, not the pushing people in business and daily life.” I like your story. Thank you. Next: Sales Low? You Have a Value Problem or Sales Problem.